Super Smash Bros. Ultimate sends the year out with a bang. Just because 2018 is almost over doesn’t mean all of the year’s good games have already come and gone. 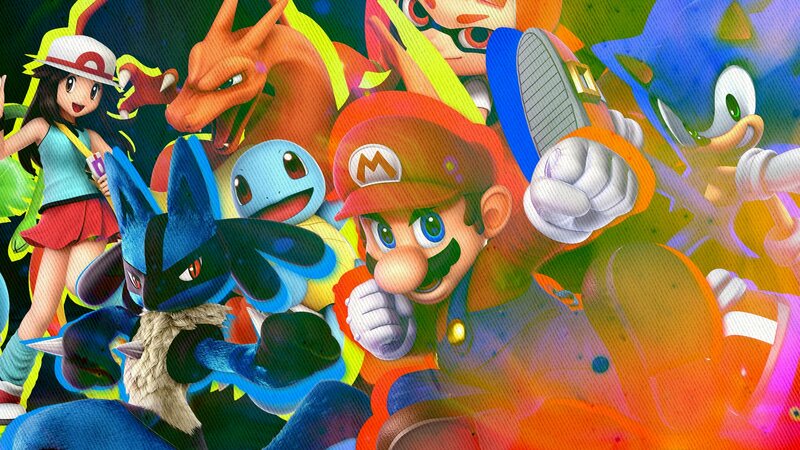 December will see the release of one of the biggest games of the year -- Super Smash Bros. Ultimate -- along with lots of other kid-friendly games your family can enjoy. Katamari Damacy REROLL is an updated version of the original Katamari Damacy, which launched on PlayStation 2 way back in 2004. The game challenges players to recreate the stars and other objects in the sky after the King of All Cosmos accidentally destroys them. How, you ask? By rolling around a sticky ball known as a katamari, which will automatically pick up items it touches, so long as they’re small enough to be grabbed. The more items players collect, the larger the katamari becomes, and the larger the items that can be scooped up. Gameplay is split into different levels, each with its own goal to complete. Persona Dancing: Endless Night Collection contains two rhythm games that challenge players to press the correct buttons on their controller in time with visual cues on the screen. Persona 3: Dancing in Moonlight is based on Persona 3 (a role-playing game released in 2007), while Persona 5: Dancing in Starlight is based on Persona 5 (a role-playing game from 2017). Both of these RPGs are rated M for Mature, while the dancing games are ok for teens. Previously released on PC and Xbox One, this battle royale game challenges 100 players to be the last one standing in each match. Users can explore buildings and other areas in order to find weapons and other items that can help them survive. During each game, players must stay within a safe zone, which shrinks in size over time, forcing players into closer proximity to one other.